In the USA alone, over 37 million people suffer from migraines, with an estimated 2-3 million experiencing chronic migraines1. Around 5 million have at least one migraine per month, and 11 million say that it causes them moderate to severe disability. Over 90% say that it interferes with work or everyday functioning, and most say that their migraines cause relationship problems. But a migraine is just a headache, right? Actually, migraines can involve severe, painful headaches, over-sensitivity to light, nausea, vision impairment, disorientation and problems with co-ordination – far more than just feeling uncomfortable2. Even worse, sometimes these symptoms can last for several days. So how could cannabidiol (CBD) and the other cannabinoids help? 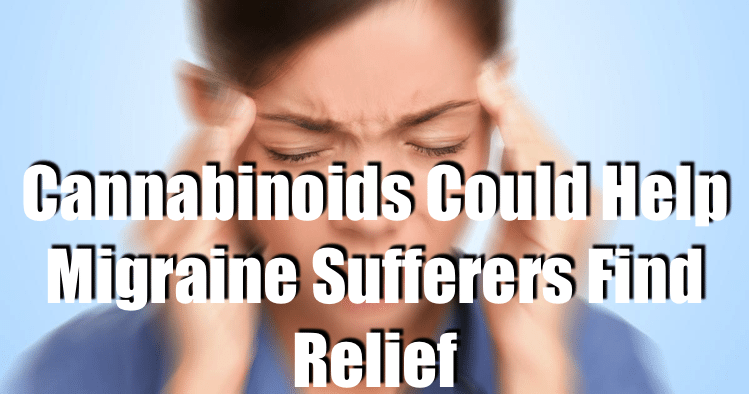 If cannabinoids for migraine sufferers produced relief, how would it work? The human body produces its own cannabinoids, anandamide (AEA) and 2-arachidonylglycerol (2-AG); together with the cannabinoid receptors, they make the endocannabinoid system. This regulates many processes in the body, such as blood vessel dilation. When cannabinoids interact with their receptors, they reduce blood vessel dilation, which is important in migraines because the expansion of blood vessels in an area with no extra space (ie the brain) creates pressure, and therefore pain. The endocannabinoid receptors known as CB1 receptors are also present in higher than usual levels in an area of the brain strongly associated with migraines3. While our own cannabinoids regulate our bodies in ways that prevent migraines, levels of AEA have been found to be lower in people who suffer from migraines4. Also, women with migraines may have higher levels of the enzyme that degrades AEA. Cannabinoids such as CBD may also directly relieve the pain seen in migraines. The stimulating neurotransmitter known as glutamate is responsible for the secondary and tertiary (horrible) pain in both migraines and fibromyalgia5, but cannabinoids can block the release of glutamate from nerve cells. Cannabinoids may also stabilize the platelets responsible for blood clots and inhibit serotonin release, which in excess can amplify pain4. 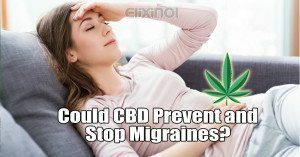 Although the scientific evidence behind the use of hemp and cannabinoids for migraines is largely from lab studies, hemp medicines have a long history in migraine treatment4. Dr Clendinning in London was the first Western physician to prescribe cannabis (which had a much lower THC content back then) for migraines in the 1840s. In the 1870s, another doctor, Dr R. Greene, was recommending daily doses of cannabis to prevent migraines. In 1890, Sir John Russell Reynolds, physician to the British royal family, highlighted migraines as an indication for the prescription of cannabis in a review of his 30 years of clinical experience. In more modern times4, a case was reported where a patient suffering from migraines found relief in small doses of smoked cannabis, after failing conventional therapies. The author had previously encountered multiple patients with migraines who had failed pharmaceutical drugs, but responded positively to cannabis. Other case reports described patients finding relief from other types of chronic headache. Overall, the evidence behind using CBD-rich hemp oil to manage migraines is in need of clinical trials, but laboratory studies, historical use and case reports do show a potential benefit. If you suffer from migraines you might like to try our high-potency CBD oil products to reduce that migraine pain. In the USA alone, over 37 million people suffer from migraines, with an estimated 2-3 million experiencing chronic migraines. Around 5 million have at least one migraine per month, and 11 million say that it causes them moderate to severe disability.If cannabinoids could help migraine sufferers find relief how would it work? Are CBD and Hemp Oil Safe During Pregnancy?